Compromise isn’t in our nature. So, we rewrote the rule book on flip-ups, creating the impossible everyone wanted. A modular with the compact dimensions, low weight and performance of a top sport full-face and the safety of the world No. 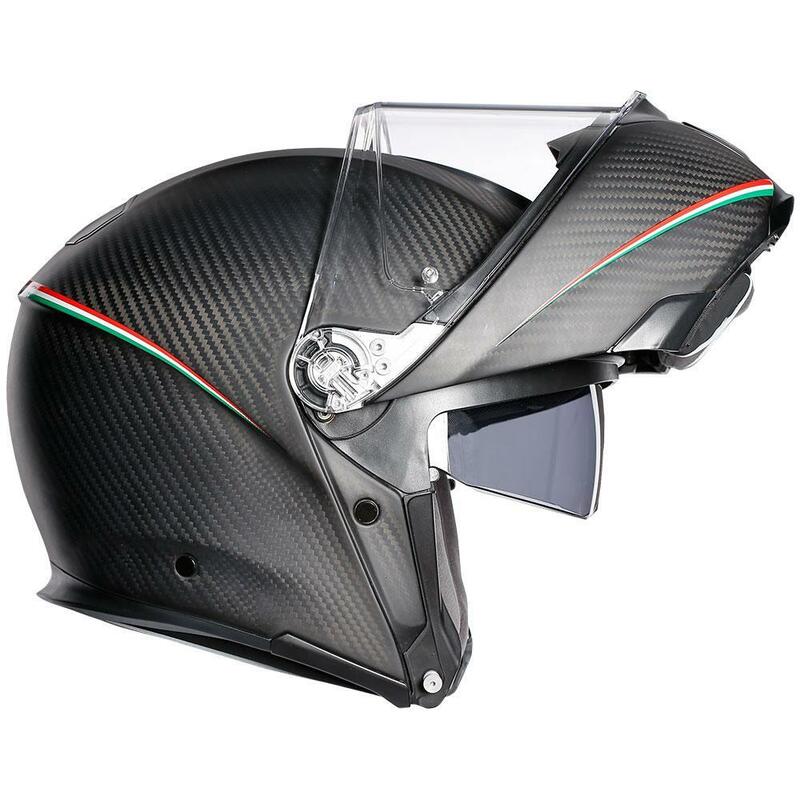 1, our very own Pista GP R. Finally, the flip-up has achieved its full potential. Total vision. In every sense. See more. Sense more. With total control. See more through a Class 1 optics panoramic visor with 190° peripheral and 85° vertical vision. Ride confident with a Max Vision Pinlock 120 anti-fog insert with 42% wider coverage. Gain superior ventilation control from a compact all-metal metal visor mechanism, featuring micro-adjustment intervals 70% smaller than standards require. Enjoy tool-free quick-release visor changes. 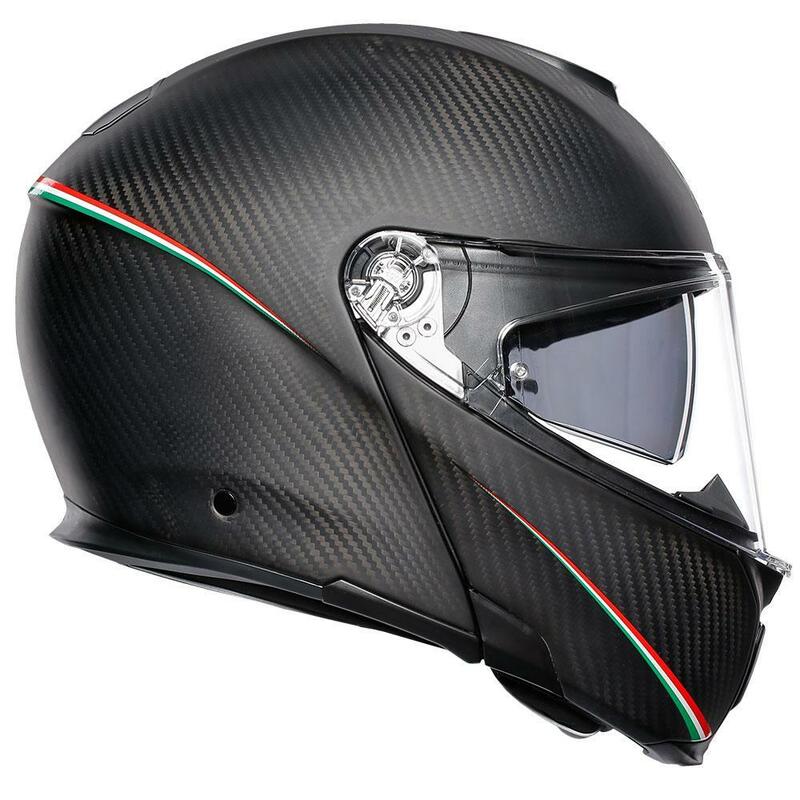 And stay reassuringly safe with a glove-friendly micro-opening visor lock that holds the face shield firmly in place for extreme protection. That's total vision. 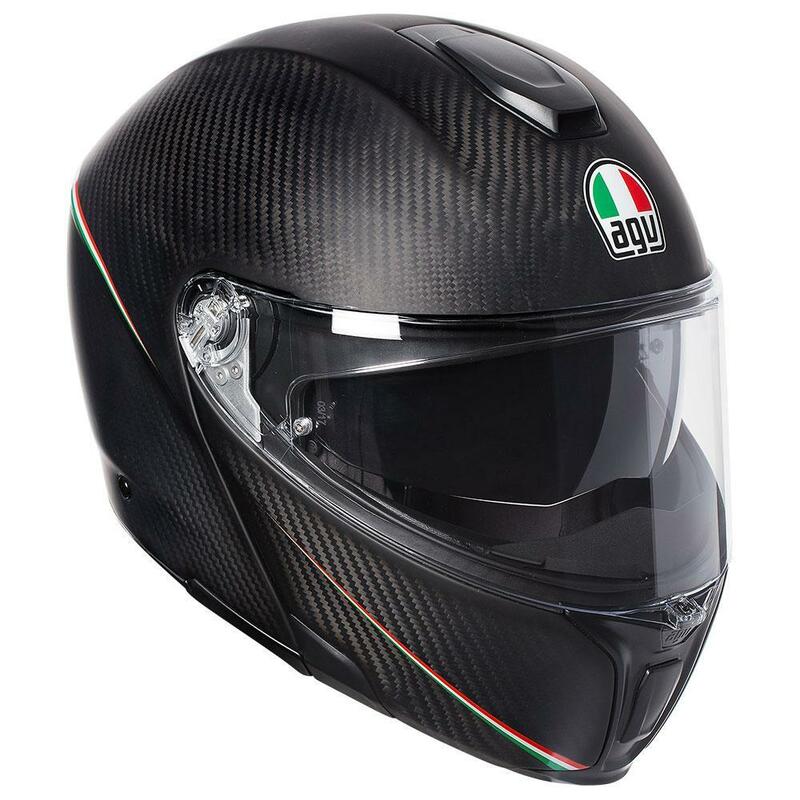 The structural design of the AGV Sport Modular achieves outstanding advances in comfort and active safety. But we took things further. 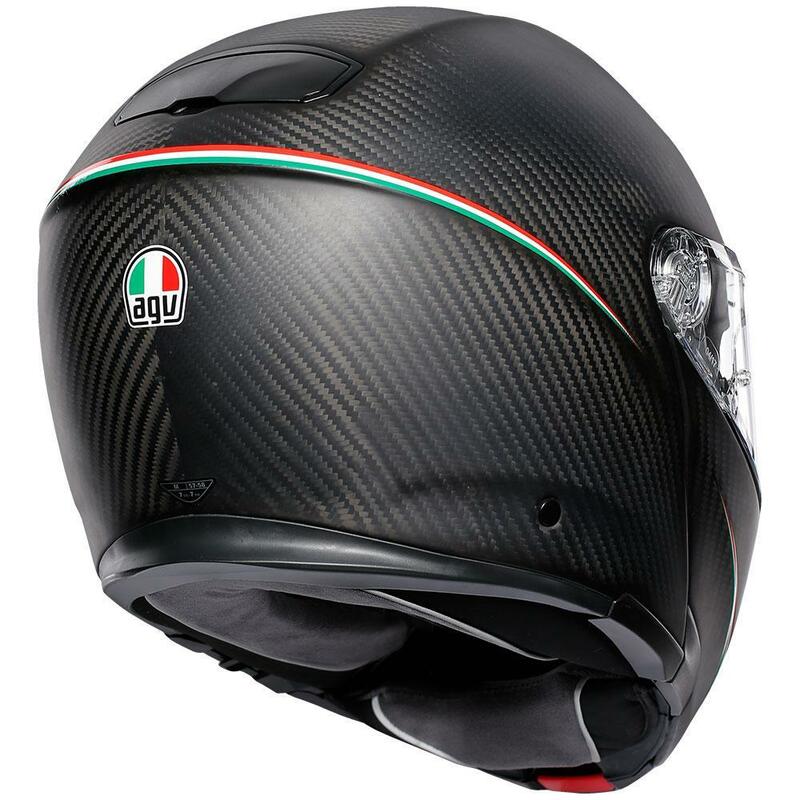 With a rear lip profile that directs rain and spray away from the neck. And with advanced technical fabrics. Water resistant outside to block moisture seepage. Lined with supersoft hypoallergenic 2Dry fast-wicking materials for moisture control and a smooth fit. Sanitized® for odor-free hygiene. And then made twice as effective with a patented ventilation-enhancing reversible crown. 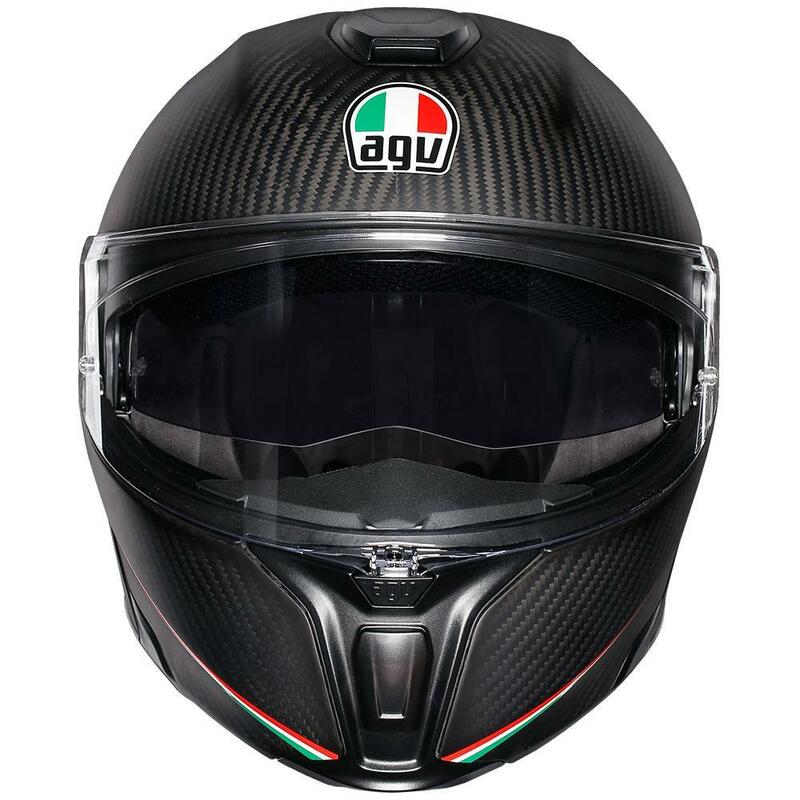 Unique to AGV, it features a silky-smooth Ritmo cool side and a soft Shalimar warm side. Simply flip to suit the weather. Now every season's riding season.